A telehandler is one of the most functional and convenient pieces of equipment on a worksite. But, when it comes to operating heavy machinery, it’s important that you and your team follow strict safety standards and protocols to maximise productivity and keep your site safe. By developing a sound understanding of how to use a telehandler safely, you reduce the risk of hazards, injury and damage from telehandler accidents or faults. At All Terrain Services, we specialise in providing industrial and construction clients with quality Manitou telehandlers. As experts in plant hire, our professionals understand the ins and outs of safety, reliability and performance. Learn more about telehandler safety and find out more about telehandler hire services in Perth. Before you begin work using your telehandler, start by assessing your entire site. Examine the conditions on and around your site and identify any existing or potential obstacles or obstructions that may impact your work. Create a detailed plan and strategy to avoid or overcome any challenges that may arise once you’re operating your telehandler. Plus, if you’re working on a site that has uneven or rough terrain, make sure that your telehandler model has the capabilities to effectively manoeuvre and operate safely. Once you’ve determined the conditions of your worksite and formulated a plan to avoid any obstacles or hazards, it’s time to ensure that your telehandler is fully equipped to complete the works. Make sure that your telehandler has the right carriage and forks according to the materials it’s carrying as well as the conditions of the site. To maximise safety, it’s important to keep the load balanced equally on the forks to be completely supported. When moving a load or set of pallets, they should be kept strapped or in place with a weighted object that minimises the chance of it moving or falling. Now that you have a thorough understanding of your worksite and your telehandler capabilities, it’s time to position your telehandler to begin work. Your telehandler needs to be positioned safely on a level surface to avoid tipping or swaying. If your site is uneven, the machine needs to be levelled using stabilisers or a hydraulic levelling function on the machine. When it comes to operating your telehandler, move slowly at maximum height to avoid jerky motions. Operating heavy machinery and equipment requires a strong emphasis on safety and technique. At All Terrain Services, we specialise in offering quality telehandler hire to clients from across industries. With a focus on safety, our professionals provide you with expert advice and assistance to ensure that you’re equipped for any project. 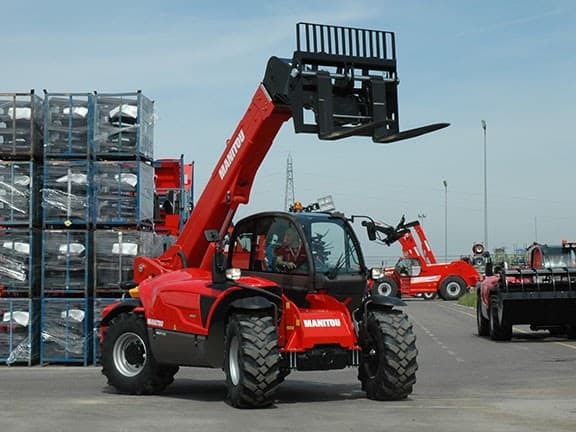 From short renovation jobs to long-term construction developments, our range of Manitou telehandlers help you operate at maximum safety and efficiency. 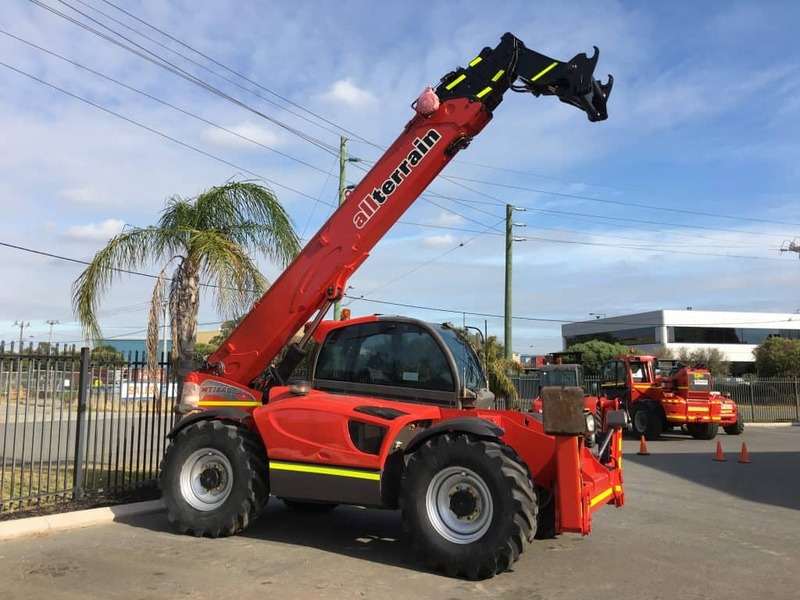 Find out more about telehandler hire in Perth. Contact us on (08) 9358 6788. What Is a Telehandler and What is it Best Used For?